The 5.11 Tactical Short and 5.11 Academy Short feature our patented rear strap and slash pockets. The Tactical short is identical to our pant, but with a 9 inseam (womens inseam is 8). 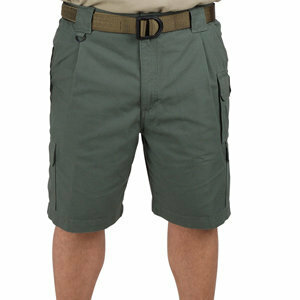 The Academy short features slightly different, wrap-around pockets and a 6.5 inseam. Choose from 8.5-oz., 100% cotton canvas or 7.4-oz. nylon canvas. Imported; inquire for GSA product.